Zinn recently began offering clients MyWave®, an online comprehensive risk management resource to assist with their risk management and communications efforts. A customized internet portal is created, giving clients direct access to a risk management resource library, a peer-to-peer community exchange between a national network of MyWave users, insurance service tools and an OSHA reference site to maintain client OSHA logs and reference material. 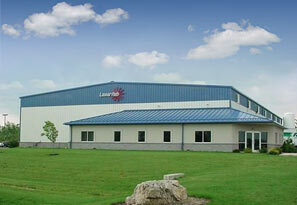 Laserfab, Inc of Lebanon, specializing in precision laser-cut metalwork and fabrication, was an early MyWave installation. In addition to implementing a competitive, industry-specific insurance program for Laserfab, we also implemented MyWave to assist them specifically in their Safety Committee efforts by providing communications to employees and their OSHA compliance needs. We are really excited about this tool as we strive to become an advocate for our clients beyond simply securing insurance. MyWave is a tangible way we go beyond delivering just insurance coverage, and supporting them in their daily focus on business success.